After almost a decade playing cello and singing in The Lumineers, Neyla Pekarek left that band last fall on a mission to start her solo musical journey. Pekarek told NPR’s “The World Café” that despite all of the successes and opportunities of The Lumineers, she felt that it was “someone else’s project” and that although she was grateful for the doors it had opened, she was ready to take a more direct role in her musical career. For that, Pekarek — like a curious little Lisa Simpson in the Springfield Museum — turned her attention to a self-guided history project that she and her roommate had started back when they were in school at The University of Northern Colorado in Greeley. It was there that she first learned about Katherine McHale Slaughterback, known better and more theatrically as “Rattlesnake Kate.” The pioneer legend came to fame when she single-handedly defended herself and her three-year-old son against 140 rattlesnakes — which may or may not have contributed to the “Whacking Day” episode, to continue with The Simpson’s references. Written over the course of two years Rattlesnake delves deep into Rattlesnake Kate’s life. Pekarek spent time in the Greeley museum, combing over Slaughterback’s archives, including reading through the letters of a four-decade love letter exchange she had with Colonel Charles Daniel Randolph, also known as “Buckskin Bill,” which comes across on the track “Letters to the Colonel.” The Colonel’s part of the song is sung by her old roommate Brian Cronan with whom she had started the historic quest in Greeley many years ago. 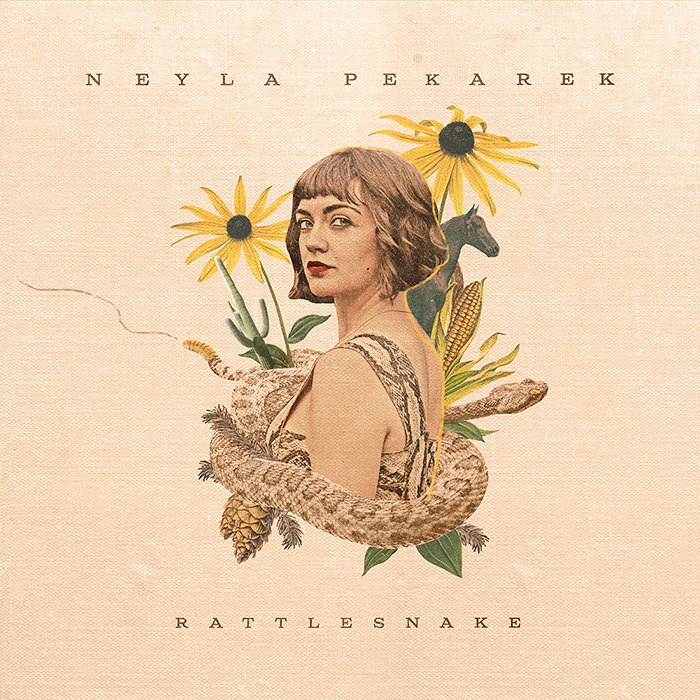 With towering vocals Pekarek channels the literary symbolism of snakes and sheds the skin of her Lumineers past to reveal the transformed artist she’s turning into. With the track “Train” she kicks off the album with a journey of her own — down the rabbit hole, or into the snake den, if you will — about Slaughterhouse’s life, re-writing the tale into what she calls a folk opera. American Songwriter, in fact, said that the album seemed as if it was written for the soundtrack to an as yet unwritten play. The theatric presentation of the story, right down to Pekarek’s commissioning of a faux rattlesnake dress she had made to wear during live performances of the material, is as bold and as brave as the woman it was written about, and sets the stage — quite literally, possibly — for the new direction ahead for Pekarek.